Conversation in Faith is now on Facebook! If you click on the link in the sidebar, you can join our Facebook page. I hope this gives us another way to carry on the conversation. It’s taken me a long time to appreciate the story of Jesus turning water into wine. It always seemed an almost trivial event to me. Feeding thousands, healing the sick, now those are miracles; acts worthy of a Messiah. But water into wine at a wedding? Half a step away from a party trick. Or so I thought until I spent some time with this story. You can refresh your memory and read the story here. As it turns out there are a couple of things I needed to know in order to appreciate this act of Jesus. The first thing was to understand what the gospel writer, John, is up to. Why does John’s gospel have “signs” rather than “miracles”? John wants us to focus, not on the event, but on what it reveals about Jesus. The signs in this gospel are like sign posts, pointing away from the act itself and pointing toward Jesus as the revealer of God’s purposes, the revealer of the Kingdom of God. It also helps to understand some things about weddings and the Hebrew Scriptures. Marriage is often used as an image of the relationship between God and God’s people. (1) Jesus makes reference to himself as a bridegroom. (2) In this story the wedding is more than just a marriage ceremony. Wine also is a sign of the fullness of God’s reign. (3) It helps to remember that for most people in the first century, scarcity was a way of life. 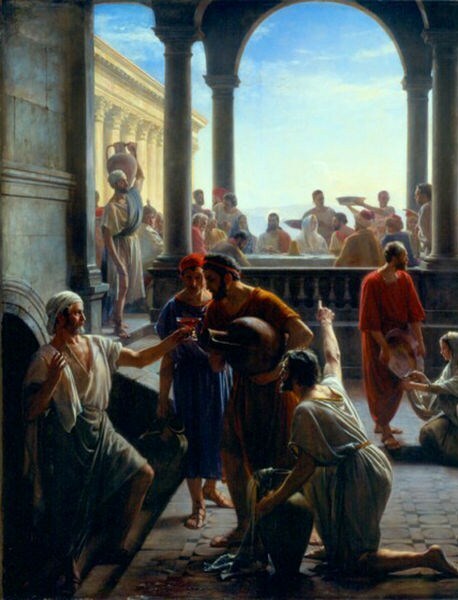 The Roman Empire took food and goods from people. When Jesus provides food and wine in abundance, this is a sign of God’s kingdom. There is enough, even more than enough, for all in God’s kingdom. So finally, I began to understand. This sign at Cana isn’t a party trick. It points to the kingdom of God, full of joy and abundance. The reign of God isn’t solemn and formal. It is festive, overflowing with celebration. Isn’t it interesting that Jesus uses the water jars that are for purification for his sign? Why not simply refill the wine bottles? Wouldn’t ever refilling wine bottles make the same point about God’s abundance? Maybe, maybe not. Commentators point out, for those of us too lazy to do the math, that six jars of 20-30 gallons is 120-180 gallons of wine. Really, that’s a lot of wine. So dear reader says John, get the point, it’s not that there is enough wine. The point is there is plenty of wine, an abundance of wine. Isn’t it interesting that jars used for Jewish rites are now filled with a sign of God’s Kingdom? There is no more waiting. Something new is happening. The kingdom is among us and wonderful change is afoot. I wonder about those who knew about this sign. Mary knew. The disciples knew and believed. Who else knew? The chief steward doesn’t know. The bridegroom doesn’t know. Who else knew? The servants knew. They are the ones who listened to Jesus. They did the work. They filled the jars. They took the wine, the sign of the new kingdom, to the chief steward. As often happens in the gospels, the servants, the working poor, they see what Jesus is doing. I wonder if the chief steward or the bridegroom asked the servants what happened? The text doesn’t tell us. We also don’t know what the other wedding guests knew or thought. Did anyone else understand what happened? Or did they take all that wine for granted? Did they assume it was their due? Where they simply oblivious to what was going on around them? We don’t know. The text is silent. The text is silent and leaves us with questions. Where do we encounter God’s abundance and take it for granted? Where are we oblivious to what is going on around us? Are there gifts of God we assume are our due? (1) For example, Isaiah 54:4-8, Isaiah 62:4-9, Hosea. Here are links to a couple of sites that very briefly discuss Sabbath and wedding imagery, here and here. (3) Amos 9:13-14, Isa 25:6-10. Once again, this post uses the very helpful resources of Warren Carter’s John:Storyteller, Interpreter, Evangelist, and Gail R. O’Day’s commentary on John found in The New Interpreter’s Bible Volume IX. Posted in Bible, Jesus. 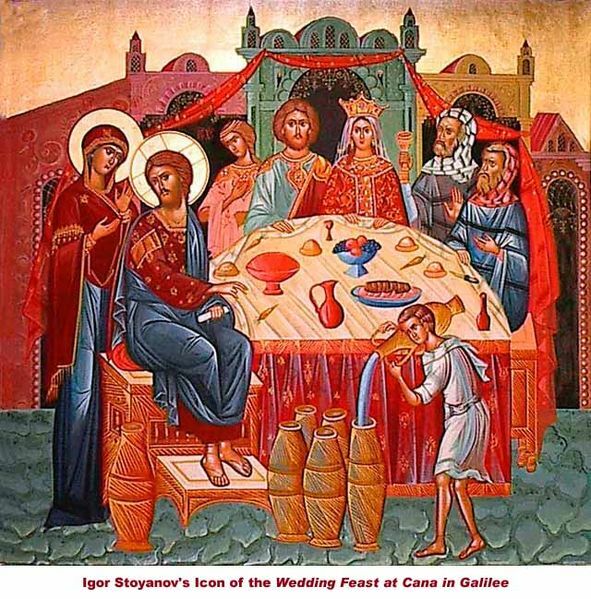 Tagged Jesus, miracles, water into wine, wedding at cana. It makes me feel the excitement I think we should feel! !